Zama achieved her Certificates of Competence in Foundational Spirometry in 2015 and followed on soon after that with her Screening Occupational Audiometry Certificate of Competence in 2016. 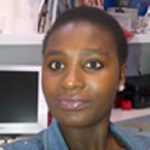 She works as an Occupational Health Technician and Education for Health Africa research field worker in Durban. Zama is happily married with 3 children.